Did you know that 30% of the protein in your body is collagen? Collagen is vital to connective tissue. It helps keep the skin smooth and firm. We often think of collagen’s role in the skin primarily as preventing facial sagging. But it makes a big difference in promoting firmness and elasticity and reducing cellulite all over the body. If you’ve been caring for your face for years but are starting to worry that the rest of your skin will give your age away, supporting your collagen can help. But many people don’t know how to do that. When we’re young, we typically don’t have to give collagen a second thought. But after 30, collagen synthesis starts to dip. And menopause slows the process down even further. Over time, collagen breaks down. And without new collagen cells to fill in the gaps, connective tissue begins to sag. This creates thinning and wrinkled skin. This breakdown in collagen actually causes our cells to get wrinkles. It’s true! And these wrinkles can jump-start the aging process from the inside out. Researchers are working on a surprising but innovative way to smooth out these wrinkles. But what they’re looking into is too complicated. There’s a better way. But first, let’s look at the research. As you know, our cells all contain identical DNA, housed in the nuclei. But since different cells have different jobs, the cells need to turn various genes on and off. Genes that are off are usually shoved aside, against the nuclear membrane. Just like our faces, our nuclear membranes can get wrinkly as we age. And that can make it harder for cells to turn off and on the proper genes. That in turn makes it harder for cells to function properly. Researchers at the University of Virginia School of Medicine have been studying this issue. In particular, they’re looking at cells involved in fatty liver disease. They’ve found that liver cells that stop working right can turn into fat cells. And these fat cells can pile up in the liver, contributing to fatty liver disease. Nuclear membranes start wrinkling when they have a shortage of lamin, a cellular protein. Like a good moisturizer, lamin could help smooth out the wrinkles. The problem is delivering it to the cells. You can’t just add applying lamin cream to your bedtime routine. This is where it gets complicated. Researchers think we may be able to use viruses as couriers. Scientists are beginning to learn how to modify viruses to help rather than harm the body. The researchers believe that smoothing nuclear membranes could have big effects on the aging process. They think this issue extends far beyond the liver. This line of study is quite intriguing. And I wouldn’t be surprised if we find that poor lifestyle choices contribute to nuclear wrinkles. After all, we know they contribute to facial wrinkles! But I don’t think the secret is using viruses to distribute lamin. Collagen seems to be a much easier protein to focus on. 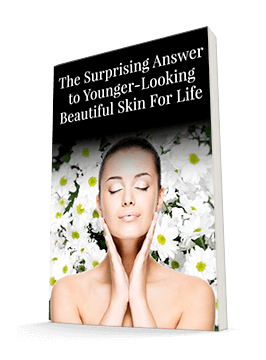 So let’s look at how we can reverse cell and skin wrinkles with collagen. To reverse cell and skin wrinkles, you need to encourage your fibroblasts to get back to work. Fibroblasts are skin cells responsible for making collagen. And with the right fuel, they can keep pumping out collagen at more youthful levels. This in turn will offer much-needed support to the skin, plumping up wrinkles and promoting elasticity. Topical products can be very helpful in reducing wrinkles, especially by combating external causes of aging, such as UV radiation. But to truly protect and restore the skin, you have to work from the inside out too. And fueling fibroblasts is a great way to do that. To function optimally, fibroblasts need collagen peptides. And you can consume these peptides in supplement form to give your cells what they need to get back to work. Several studies have confirmed the effectiveness of specially formulated peptides for improving the appearance of the skin. In one such study, researchers enrolled 69 women in a double-blind, placebo-controlled trial. The women ranged in age from 35 to 55. The researchers divided them into three groups. One group received 2.5 g of a peptide product. Another group received 5.0 g. And the third group received a placebo. The women took the product once a day for eight weeks. By week four, the women in both peptide groups were seeing statistically significant increases in their skin elasticity. In fact, by the end of the study, some women’s elasticity increased by 30%. And the women who were 50 or older actually fared the best. The women taking the peptides also noticed improvements in their skin’s moisture and evaporation levels. And this trend continued even four weeks after the women discontinued the treatment. Another study examined whether these peptides could reduce wrinkles and help the skin make more type I collagen, elastin, and fibrillin. These are all key ingredients in the connective tissue that gives skin its youthful appearance. For this study, 114 women ranging in age from 45 to 65 received either 2.5 g of the peptide formula or a placebo once a day for eight weeks. Once again, differences were noticeable as early as four weeks. In fact, by that point, the group receiving the peptides was seeing reductions in eye wrinkle volume that exceeded 7%. By eight weeks, some of the peptide group members saw 50% improvements! Four weeks after the participants stopped the treatment, their eye wrinkle reduction was still hovering around 11.5%. When the researchers evaluated the participants’ skin, they found that their type I collagen had increased by 65%. Elastin was up 18%, and fibrillin also increased 6%. These increases gave the skin the tools it needed to rebuild connective tissue and smooth out wrinkles. Of course, improving eye wrinkles is nice. But that’s only a small area of the skin. What about a bigger challenge – like cellulite? Can collagen peptides help with that too? The researchers put them to the test. The researchers enrolled 105 women between the ages of 24 and 50 for this study. Half received 2.5 g of the collagen peptides every day. The other half received a placebo. This time, they stuck with the treatment for six months. After six months, the participants in the treatment group saw an average of 8% reduction in skin waviness. Those with normal BMIs saw even greater improvements. Their thigh skin waviness went down by 11.1%. The participants also saw significant improvements in dermal density. And they had stronger connective tissue. Overall, they saw measurable improvements in cellulite by the end of the study. In fact, for those whose BMIs fell in the normal range, the average improvement was about 9%. Those with BMIs greater than 25 also saw some benefits, though the reduction wasn’t as noticeable. If you want to improve your skin firmness from the inside out, collagen peptides can help. Look for a product that’s easy to take on its own or mix into other foods or beverages. Because you take them orally, they can help every inch of your skin rebuild and restore itself from the inside. Your natural collagen production may slow down over time, but you can keep fueling the system to keep it running more effectively than it would on its own. There are many good quality collagen peptide powders on the market. But look for one that’s ideally from grass-fed cows. This should be identified on the label.